Now, more than ever, we must take action to protect our planet and the forests of the world. Climate change is the biggest challenge humanity has ever faced. But guess what? It is also our greatest opportunity. We can and MUST step up to the challenge. While the threat is scary, the good news is — the solutions are out there. We just need to stand together and take action. Dr. Seuss' The Lorax said it best, "Unless someone like you cares a whole awful lot, nothing is going to get better it's not." Future generations are counting on us. 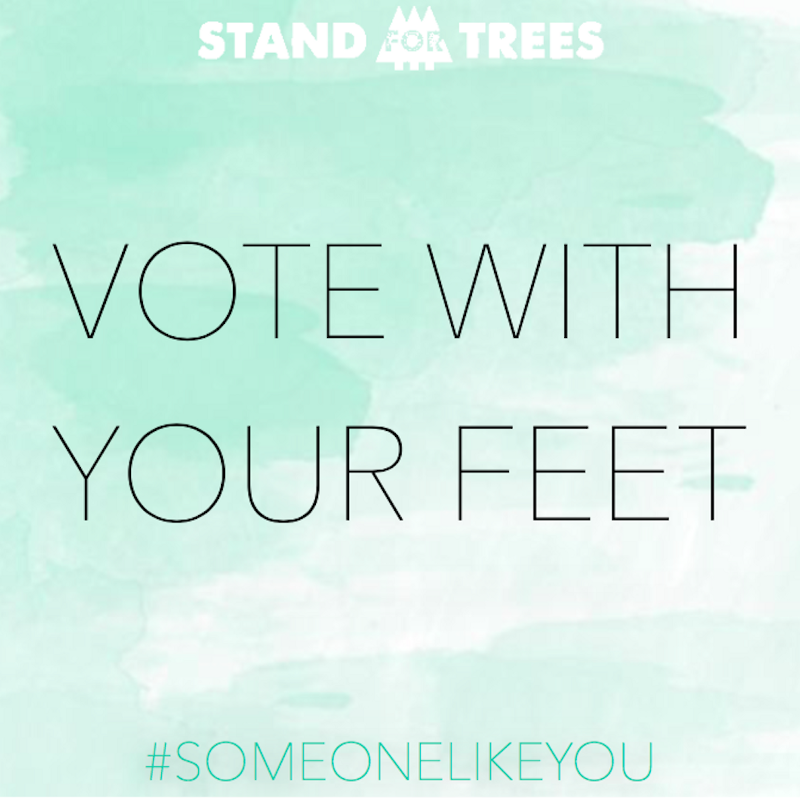 It will be up to #SomeoneLikeYOU to make a difference. Take the action journey below and do your part to help ensure a healthy and habitable planet for future generations. We must take responsibility for our impact on the environment. Purchasing a Stand For Trees Certificate is one of the most effective actions an individual can take to halt deforestation and combat climate change. 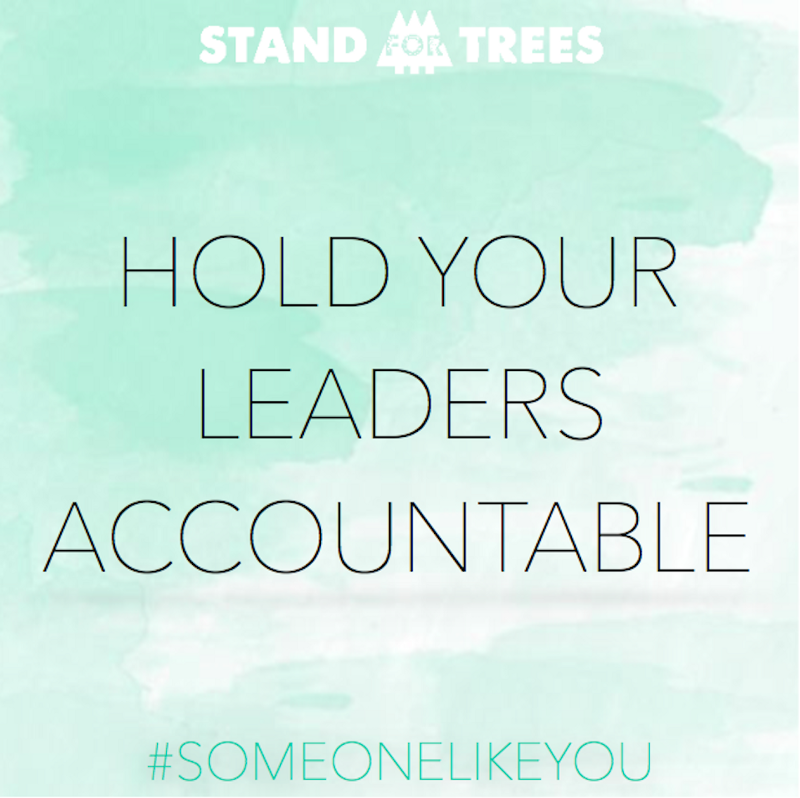 Join the movement and take action today! 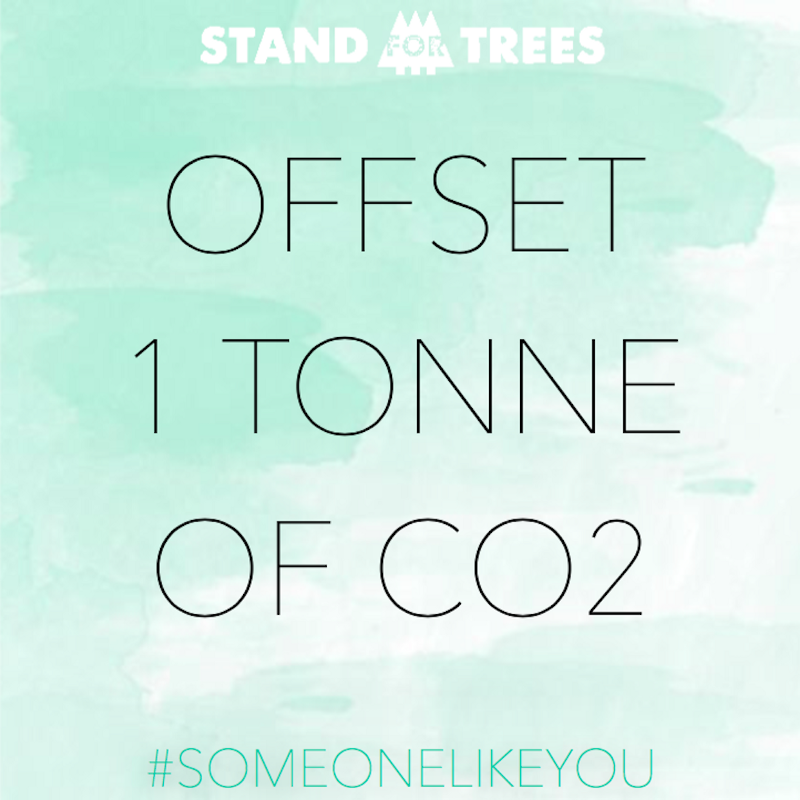 Offset 1 metric tonne of carbon dioxide ($10 USD) from entering the atmosphere by supporting a Stand For Trees project of your choice. 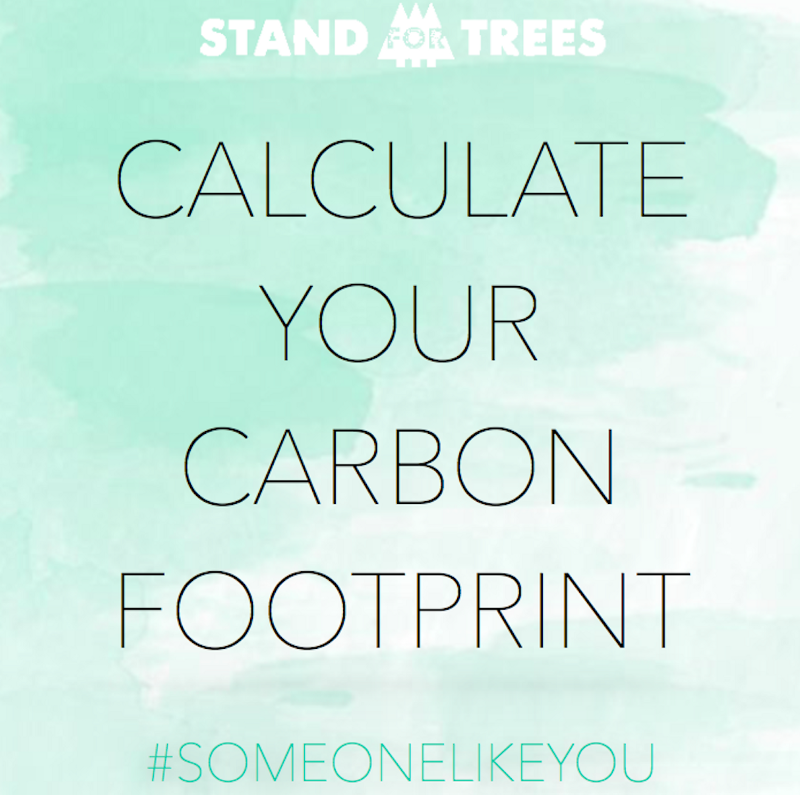 (1) You buy a Stand For Trees Certificate — a unique, high-quality, verified carbon credit that protects a specific endangered forest and offsets a tonne of CO2 from entering the earth's atmosphere. Because of your purchase, forests are left standing to do what they do best — store carbon, produce oxygen, provide habitat, and support local communities. (2) Independent certification teams approved by Code REDD monitor each project and help local communities become stewards of their forests to halt deforestation, protect critical wildlife habitat, and shift the economic model so forests are more valuable alive than dead. (3) Share your participation with friends and family on Facebook and Twitter — through our collective action, we change the economics of deforestation, do something meaningful to curb climate change, and support life on earth. 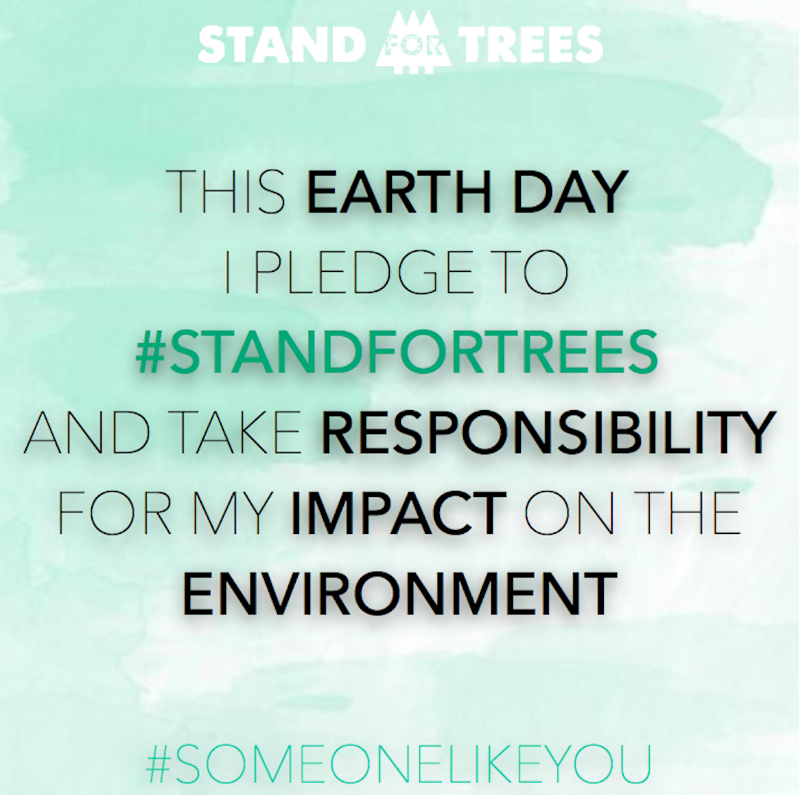 Trees stand for us, it's time to stand for trees! Everything from the food you eat to the transportation you take, has an effect on our climate. Dr. Jane Goodall sums it up perfectly: "You cannot get through single day without having an impact on the world around you. What you do makes a difference, and you have to decide what kind of difference you want to make." Use this carbon calculator to understand how your everyday actions impact the environment. 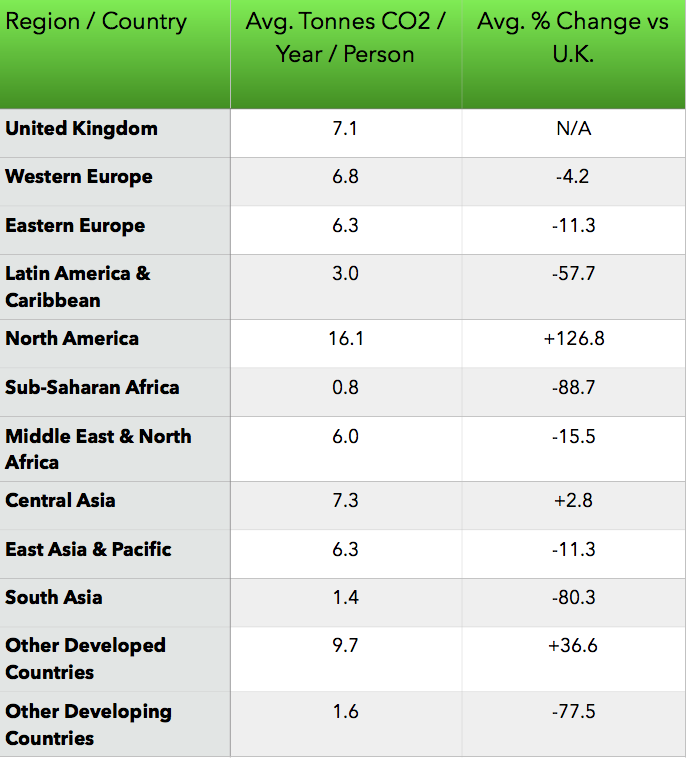 *Disclaimer* This calculator is for individuals and is based on average national data in the United Kingdom. Please circle back in the near future for a custom made Stand For Trees calculator that will calculate data with other countries and regions around the globe. This calculator has been selected for its great design, ease of use and clear info graphics. If not in the U.K. we suggest as a guide simply making an % adjustment versus the U.K. depending on your region in the table below. This is based on World Bank compiled data, which can also shows info for all countries individually here. Join The People's Climate March! "To change everything, we need everyone." On April 29th, 2017 The People's Climate Movement will be hosting a march in Washington D.C. and Sister Marches around the world to take a stand for environmental justice. "We will march for our families. We will march for our air, our water, and our land. We will march for clean energy jobs and climate justice. We will march for our communities and the people we love." "Sea levels are rising, polar ice caps are melting, and global temperatures are at an all time high. We are witnessing the effects of Climate Change. Our home, planet earth, is threatened. Take action now to support the Paris Agreement, ensuring that the United States preserves their commitment to combat climate change. The severe effects of climate change will not only start to affect us, but our children, our children's children, and generations to come. The environment in which we live affects every facet of our lives from what we grow, to what eat, and how we stay healthy. If you support a healthy and sustainable planet for all, tweet now to support of the Paris Agreement. The world is counting on you."